I really do have a LOT of photos from the Cut! exhibit, and here’s one more. Who knew there would be so much to say!? 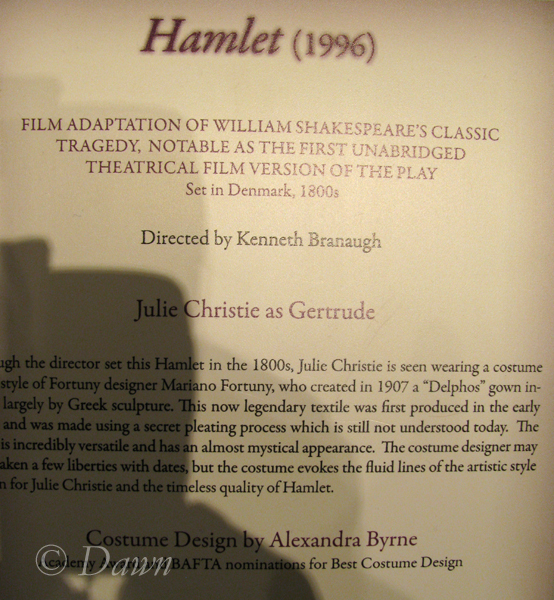 This version of Hamlet was filmed in 1996, and Julie Christie wore this dress in the role of Gertrude. The film is the “first unabridged theatrical film version of the play” according to the poster and is set in Denmark in the 1800s. “Though the director set this Hamlet in the 1800s, Julie Christie is seen wearing a costume style of Fortuny designer Mariano Fortuny, who created in 1907 a “Delphos” gown inspired largely by Greek sculpture. This now legendary textile was first produced in the early 1900s and was made using a secret pleating process which is still not understood today. The fabric is incredibly versatile and has an almost mystical appearance. The costume designer may have taken a few liberties with dates, but the costume evokes the fluid lines of the artistic style chosen for Julie Christie and the timeless quality of Hamlet”. –note, I’ve taken some liberties of my own, because I didn’t shoot the poster in its entirety. 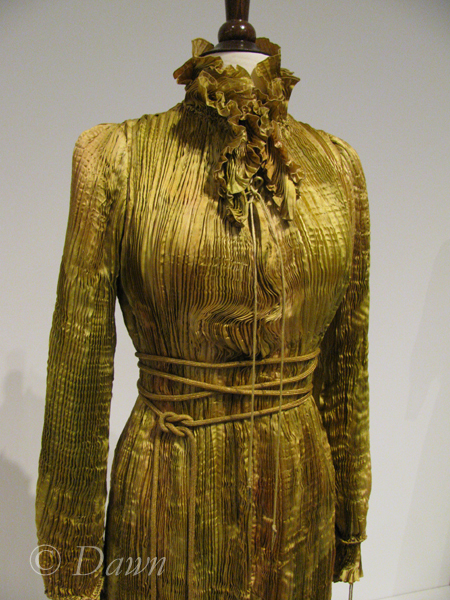 The dress appears to be shibori-like pleats, in hand-dyed silk in shades of green, gold, and rust. By the way that the colour seems to bring out the pleats (depth) I have the feeling that the fabric was actually painted with dye after the fabric was initially pleated. The dress is cut (and belted?) so that the hem at the front just touches the floor, while the hem at the back pools and puddles on the floor. The belt is a thicker cord, while the cords at the neckline and sleeves appear to be nothing more than satin rattail cord. I’ve successfully dyed this to match (it dyes a little lighter than the rest of the fabric) in the past. Here at the neckline, you can see what could be very good hand stitching, or machine stitching at the neckline opening, as well as a close up of the cord that ties the neckline. There is also a close up of the edge finish – it looks like either a very narrow rolled serge, or rolled hem with a buttonhole stitch. In this close up you can see the tiny fine threads in between the pleats. These were every here-and-there in the garment, and didn’t seem to be regularly interspersed. 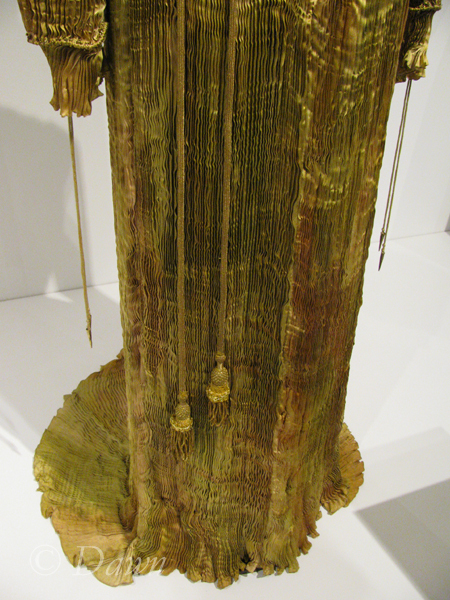 Instead, it appeared as though the lines of threads were left in at key width points – meaning that around the bust, waist, and hips they were left in to ensure that the dress would stay at it’s desired measurement – while elsewhere the threads were removed, to allow the pleats to shape as they needed to. Image from Sew Fancy. Click for original. Sorry if the image breaks in future. These small smocking pleaters are only good for fabric pleated in one direction, and only 12″ wide (or however wide the machine is). You can fold thin fabric, but then you’ll end up with mirrored pleats rather than continuous pleats. Alternatively you can do line after line after line of basting stitches (either by hand or machine) and then gather them all up by hand. With this method you’re not as restricted to the width of the fabric you want to pleat, but at the same time, there’s a lot more work, and I imagine it would be a lot harder to keep the pleats perfectly even – you’d want to ensure that you always began and ended the stitch at the same point for pleats that would line up right. A third method, which doesn’t use the threads (and thus, I don’t think is how they made this dress) and what I’ve done in the past is Arashi Shibori pleating. This works on both fine natural and synthetic fabrics, but in different ways. For instance, with synthetics, you can heat-set the pleats, and they are mostly permanent. (They won’t stand up with ironing or anything like that… but you can very gently wash the fabrics.) 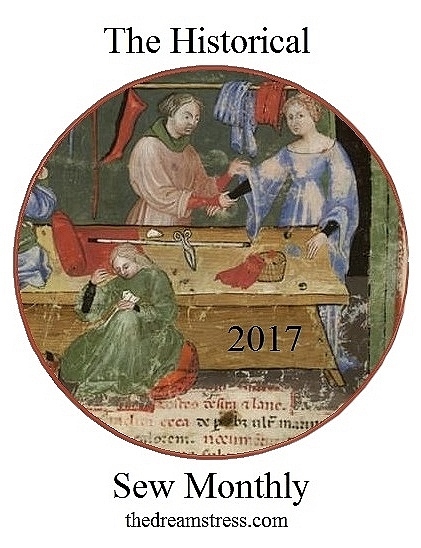 With silks however, you don’t heat-set them, and they will fall out if the garment is washed, pressed, and potentially even if steamed. Above is a video I quickly found that gives a brief overview of how to do the Arashi Shibori pleating – you basically smoothly wrap your fabric around a PVC pipe (you can find these in Home Depot or Rona, etc) with NO folds or bubbles (they’ll show up in the finished product. (Ok.. you can have folds and bubbles, but they’ll show up and you can’t get rid of them… some interesting effects can result from this though….) and then tightly wind a very thin cord (I have used crochet cotton) in very narrow, even lines around and around and around the pipe. 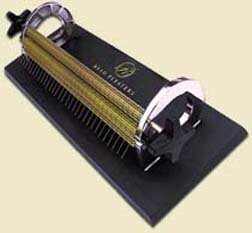 In school we used a lazy susan (a turntable) to set the pipe on, and then just spun the lazy susan around and around, though in the video they do it old-school just holding it on their laps. In the video they also have some machine to spin and steam, though I wouldn’t bother with this unless there was a LOT of yardage to do on a regular basis. 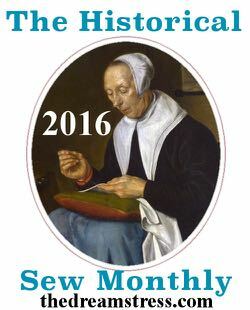 Once you have your thread wrapped, you push the fabric down, compressing it. You have to do this really smoothly, to avoid any warping. From there, it depends on what you want to do next…. if you want to paint the fabric with dye, you can. (If you do this, make sure the inside of your pipe has all the holes covered with duct tape to avoid bleed-through) Use whatever dye you can paint with. Don’t use fabric paint… you want dye. Using this wet, you can get the lovely transitions in colour like in the dress above. If you have silk, you get it wet, and then let it dry for a few days with moderate heat. (Like over a heating vent). If you have synthetic fabric, you can dunk it in boiling water, and then just let it air dry (with or without heat, as you prefer). You can even dry it with a hair dryer, though it might take a while. The key is to not remove the thread until the fabric is 100% dry all the way through. If you pull it off while the fabric is still wet, the pleats won’t set. Once every thing is dry you unwind the cord (and if you didn’t dye with it – or heck, even if you did and think you might have an interesting effect – wind it back up again and save it for next time) and then slowly and carefully remove the fabric from the pipe, resulting in gorgeous pleats! I’ve done this with synthetic taffeta, fine China silk, and polyester chiffon, along with other fabrics. With the taffeta, I fused iron-on interfacing to the back of the pleats, squishing them, but also making them permanent, regardless of how I cared for the garment (well, as permanent as the glue on the interfacing!). 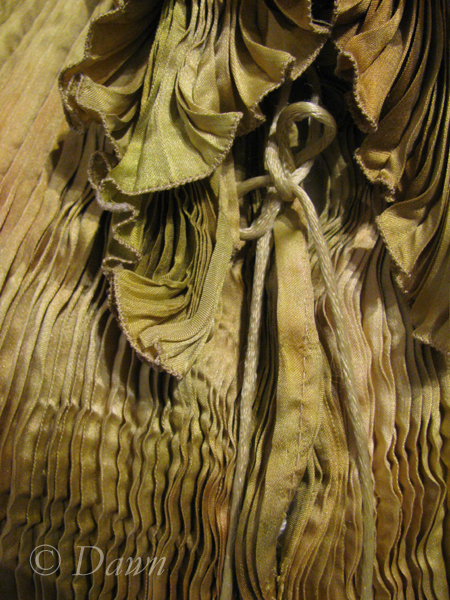 To store the silk and chiffon garments, I roll them up to preserve the pleats as much as possible. It’s outstanding how many shapes and sizes the different pleated garments will fit – the pleats stretching to accommodate a larger size, and closing with a smaller size. So, what do you think of the Gertrude gown? If my suggestions for pleating sounded like something you would feel comfortable doing at home, would you want to make a gown like this? Let me know (and send me links!) in the comments below! 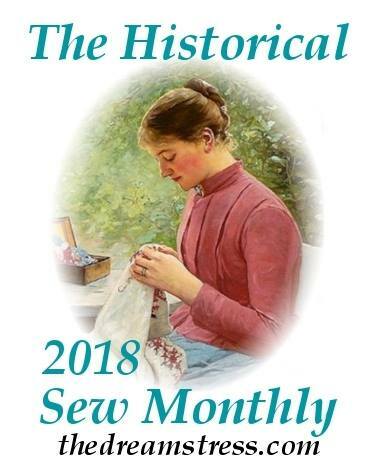 This entry was posted in Museum exhibits, Sewing and tagged 1900s, crafting, DIY, how-to, inspiration, sewing tools. Glad that you liked the post – I can chat through comments certainly, but I’m not comfortable giving out my #… thank you for the compliments though! I have a lovely piece of silk that I’ve had decorating my room for years now – the pleats have never fallen out – but I’ve never washed it – only brushed it, vacuumed it/etc to ‘clean’ it. It works fine as decoration… but garments are a bit more tricky. I’d even suggest doing a few swatches to take to dry cleaners – since often their “dry” cleaning… isn’t. My pleated silk dress has NEVER been washed – mind you I’ve worn it less than a half-dozen times… and never when I was highly active. Feel free to reply if you have any questions! I took a look at your Pinterest board – so many gorgeous things! Thanks for your insight into this costume itself. 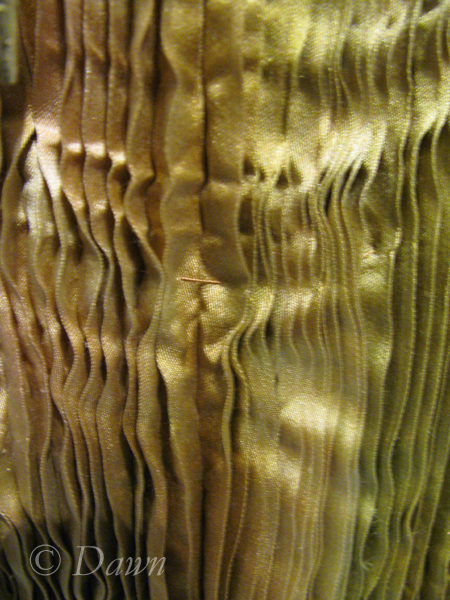 I first learned of the Arashi Shibori technique in school, and it was linked by our instructor to Fortuny’s techniques; how fascinating that you came to the pleated garments like this without knowledge of Fortuny! Perhaps you both were inspired by similar things…? Yes Pinterest is distracting, but it does show how much incredible talent there is out there in the world beyond our own little lives – hugely inspiring. I was especially pleased to find your pictures of Gertrude’s dress as that is one that eluded me. I have just found a picture of an actress called Ann-Margret – wearing one of our velvet jackets in ‘Grumpy Old Men’ – we very rarely know where the clothes go until we see them on some exotic celebrity like Elizabeth Taylor in Hello magazine and this last find we were watching the film and I thought – ‘that is ours’ but never managed to find a picture of it. I cannot put them on Pinterest until I have created a blog which I do every now and then. As for being inspired by similar things – perhaps, but more likely Fortuny’s family were some kind of textile historians and collected textiles and he would have had great knowledge about them. When we went to take part in the exhibition in Milan we took time off to visit the Museum near the Duomo – there were priests’ vestments, the under-layers of which were finely pleated – so a textile historian would have had a route to follow and inspire. So from that point of view we were inspired by the same thing – priests’ vestments always appealed to me – they are so exotic and ‘over the top’ but I knew nothing of the layers, just what I would see on the priests in my school. We started doing the pleating as a dying technique to get something a bit less ethnic than batik – we used to roughly pleat the fabric and leave the dye to ride out, as ink blots with the different colours radiating out from the pleats (chromotography) dye colour molecules move at different rates so you get rings or bands of colour (as ink blots – if you are old enough to know about that in this day of biro writing!) – then we ironed out the pleats. It was only when I was playing with the un-ironed fabric that I decided to make garments out of the pleated fabric, but it took us a couple of years to refine the technique to give it a fluidity that Fortuny did not have with his pleated garments.